Our range of Desk Calendars are ideal as a personal gift for your friends and family. Also business customers will love these neat wall calendars which will keep your company branding and contact details in view all year round. 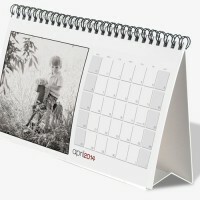 Desk Calendars make exceptionally effective – and economical – corporate gifts and promotional giveaways. 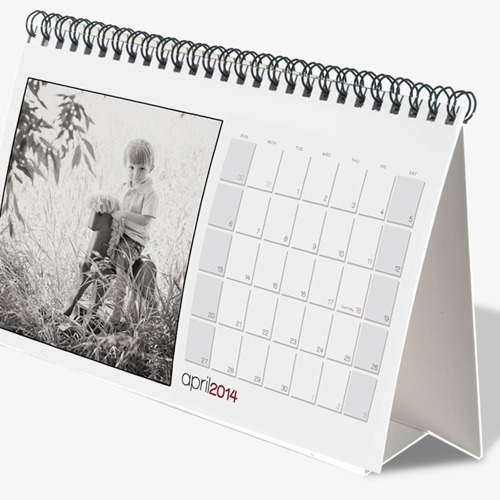 Our printed Desk Calendars are available in CD cases, tent card and wire bound formats and are printed either digitally or lithographically depending on the quantity required. Our Desk Calendars are a great choice if you want to make a big impression this Christmas. CD Case Calendars are the ideal corporate gift. They consist of a cover sheet and 12 x month-by-month inserts, all printed in stunning full colour (to one side only) on 250gsm gloss paper. The inserts are displayed in a specially adapted clear plastic CD jewel case. 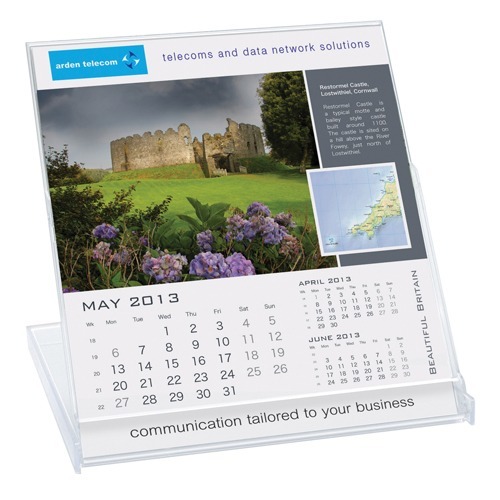 The lid of the case folds round to act as a stand, creating the perfect viewing angle for your promotional calendar. Your customers will love these neat desktop calendars which will keep your company branding and contact details right under their noses year round. These Desktop Tent Calendars are an ideal way to keep your branding and contact details right under the noses of your customers, year-round. Supplied flat with a pre-creased, self-locking base for easy assembly, these durable desktop calendars make an ideal promotional giveaway. They are printed in stunning full colour to the outer surface on sturdy tent card board. If you’re looking for a highly effective and economical corporate gift or promotional giveaway, look no further than our Wire Bound Desk Calendars. Available in two different formats, our Wire Bound Desktop Flip Calendars feature a cover sheet and 12 x month-by-month leaves, all printed in stunning full colour (to one side only) on 200gsm gloss paper. 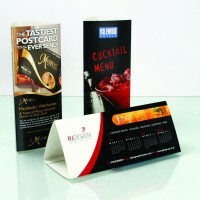 The sturdy, plain white 250gsm card stand folds flat for easy distribution.